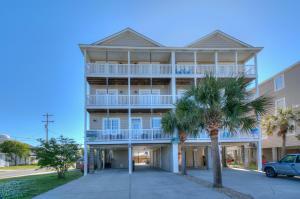 CONWAY, SC – Opened in 1980 this Gene Hamm designed layout has been a Myrtle Beach staple. 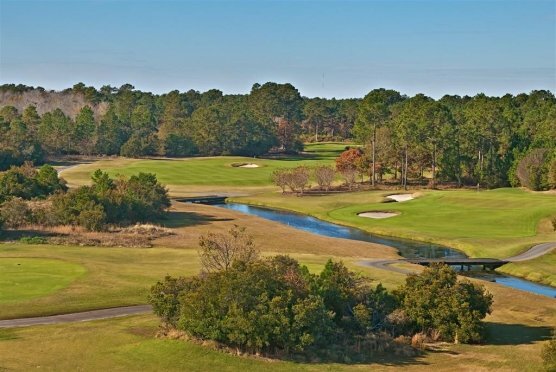 Part of the Classic Golf Group, which includes The Founders Club at Pawleys Island, Black Bear Golf Club and Indian Wells Golf Club, Burning Ridge, has achieved some lofty accolades. Following extensive renovations Burning Ridge Golf Club was awarded both the 2006 Myrtle Beach Golf Course of the Year and the 2006 South Carolina Golf Course of the Year. That’s a double win only a very select group of venues have achieved. It’s a testament to the work done from rebuilding greens and sand traps to re-paving cart paths and widening fairways. Everything was done with the playability and the player in mind. With four sets of tees and a Par of 72, you’ll need to find the set that fits your handicap and ability. The Black Tees are a playable 6780 yards with a rating/slope of 73.9/137. The White Tees are a generous 6216 yards and rated at 70.6/133. Gold Tees are a healthy 5725 yards at 68.5/123. The Red Tees are a very friendly 4524 yards 65.4/111. Burning Ridge has some length, but will require some shot making as well. On the front 9 a big hitter may consider keeping the driver in the bag on Nos. 3, 6 & 8. The Par 5s are not particularly long with the exception of No. 1. This may be the most challenging opening hole on the Grand Strand. At 546 yards from the white tees a good drive and fairway wood are critical to put you in position for an approach shot over water to a well bunkered oddly shaped green. A front pin position can be hazardous. Frankly, par is a great score and a bogey is quite respectable. If you struggled above a six, rest assured there are better scoring opportunities ahead. The Par 5 No. 15 is a fun hole with risk/reward for the big hitters. At 427 yards from the white tees it can be reachable with a strong drive. Be cautious of the water and that front bunker. Although tempting, a mid iron lay-up and wedge to the green may be the prudent play. If shaping shots is your game, you’ll like the Burning Ridge Par 4s. Some dogleg left, some right and yes, some Par 4s do go straight. No. 6 is a great example with a severe dogleg left. The bombers may be tempted to fly the waste areas, but the practical play is straight down the middle choosing the right club to avoid running through the fairway. The green is protected on each side by sand bunkers, but does provide a narrow opening. This one’s a great scoring opportunity. On the back nine No. 14 is a dramatic dogleg right and requires a strong drive to make the turn. Of course fairway traps and trees protect the turn. A good drive that gets past the corner is in great shape for a mid iron to a generous green. The Par 3s are a great mix of scoring chances and scoring challenges. No. 2 presents an opportunity to score, but there are cautions. Do not relax after the challenging opening hole and club up for this reachable 153-yard hole. Few are long on this one, while many are short. The Par 3 No. 12 is a great hole and a real challenge. At 200-yards of course you’ll need some length. However, accuracy is also critically important. The hole has water up the right side and behind the green. There’s little bailout to the left and a sand hazards awaits the timid. If this hole were a Par 4, it would be less than its 14-handicap as a par 3. Ladies, they have softened it up for you at 108-yards. The Burning Ridge Golf Club has a large practice area and a generous putting green. The clubhouse is well stocked with logo merchandise and the snack bar has plenty of seating and an outdoor deck. Burning Ridge deserves its accolades. If you haven’t played this one recently, add it to your card.